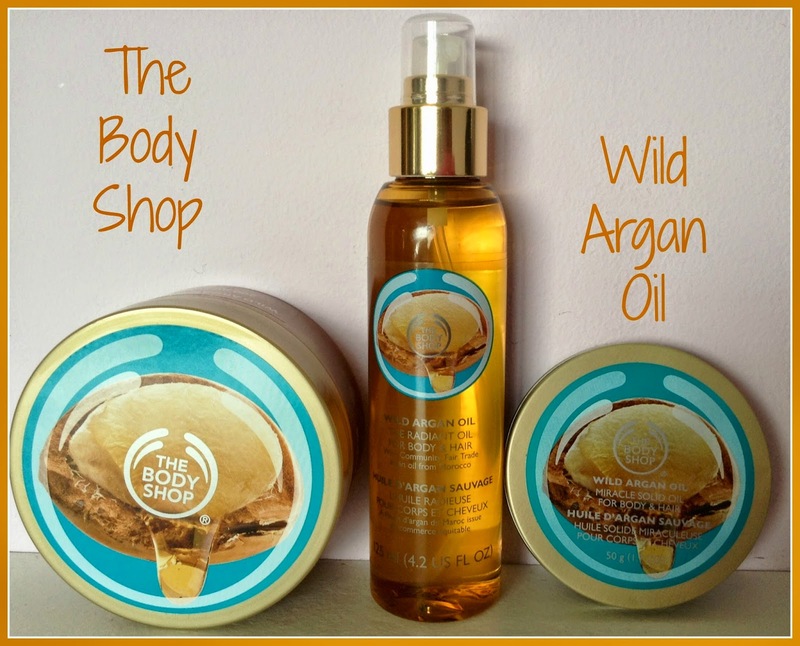 You might have been hearing murmurings of a brand new range of products from The Body Shop, the Wild Argan Oil range. 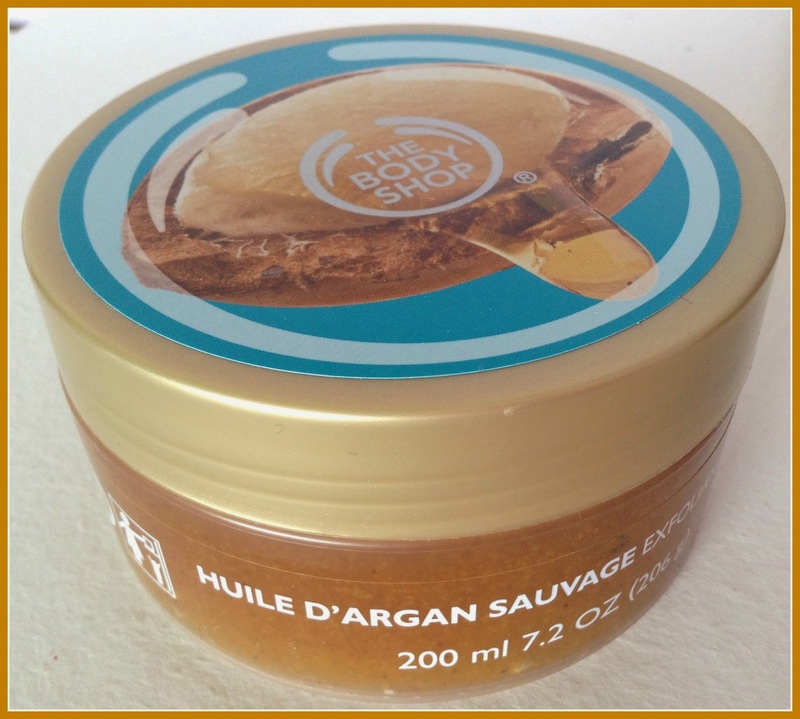 Argan oil is something I typically associate with hair oils, shampoos and conditioners- lord knows I have made my way through a couple of bottles of argan oil in my time- but the folks at The Body Shop have released a new 9 product Bath and Bodycare collection which will hit shelves on 21st August. I was sent some new bits from the collection to try out, and I have been using them over the last week to get a feel for them. This was absolutely no hardship of me of course because these products and this range just smells WOW. Now one of the things I love most about The Body Shop is the heart behind the brand and how The Body Shop works closely with many groups and organisations in developing countries to develop partnerships and plough back profits to enrich the lives of others. Not only will your skin feel great and you will smell amazing but you will also experience good karma vibes for supporting community fair trade. In this instance, The Body Shop has partnered with Targanine which is a local co-operative created by women for local Berber women in Morocco to help find buyers for their oil which they get from hand picking and hand cracking the nuts of wild argan trees to extract the purest grade of oil. The support of The Body Shop will assist Targanine to support and provide technical assistance to these women and help the industry to develop in a positive way, giving these women the ability to provide for their families and supporting investments in creches, doctor facilities and learning and education facilities. There is a lot of heart behind that brand. 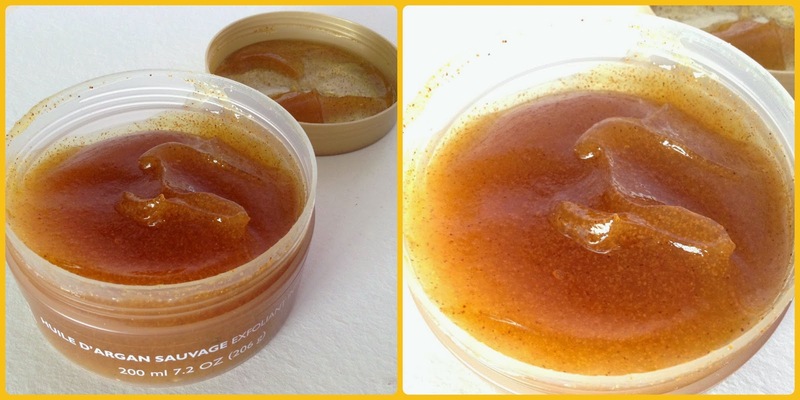 The first product I tried out was the Wild Argan Oil Body Scrub (€18.95) which is the most divine smelling gorgeous golden jelly laden with wild argan oil with little argan shell exfoliants. I'm a long time fan of the TBS body scrubs but I think this one has defeated my love for the Coconut and Shea scrubs and that's a pretty significant achievement given that I have loved both of those for years now. It smells so luxurious, almost a hint almond-y but definitely not marzipan-y and when I use this in a piping hot shower, honestly it one of the most luxurious shower experiences I have ever tried. This scrub leaves my skin feeling amazing and radiant and my hands have never been softer or in better condition as they have the last week I have been using this. 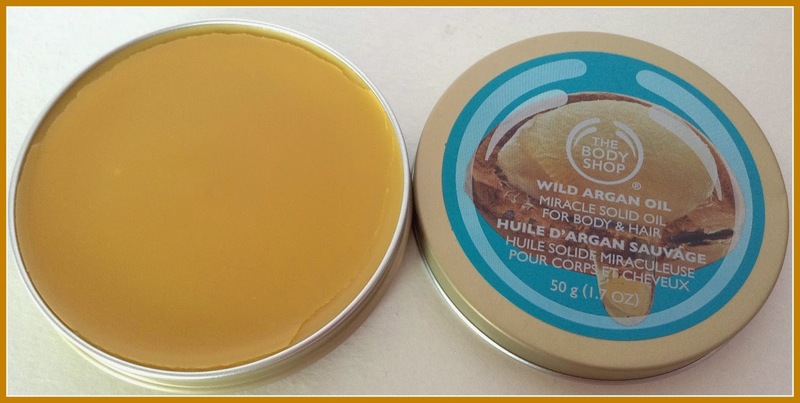 I was also given the Miracle Solid Oil (€15.00) to test out. I've never tried a solid oil before (this one is 70% solid) and can be used to treat extra dry patches of skin or as a hair treatment. I've used this on my elbows and knees before tanning, and it's lovely. It's very thick, melts nicely and sinks into the skin without leaving any oil residue but it does leave a nice glow. I've also used this as a conditioning treatment for my hair before jumping into the shower. My favourite use for this however, is applying this to my hair after a shower as a leave-in conditioning treatment. You only need a small amount but I get a pea-sized amount of this, rub it between my hands, apply to the ends of my hair when 50% dry, plait my hair and wake up in the morning with lovely shiny, soft defined waves. I've been getting compliments on my hair all week in work and no-one can believe that I haven't put a heat styler near my hair. 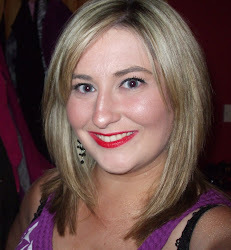 I also have balayage and find that some leave in treatments can change the shade of blonde but this oil does not do that, I haven't noticed it changing the colour of my hair at all, if anything, it enhances the colour. Also can I just point out that this is the best value product ever because you need just the tiniest little amount to work in between your hands or apply to your skin. Another definite repurchase from me! The third product I got to test out was the Radiant Oil (€15.00) and this I have been applying liberally all over my body after every single shower. This is another gorgeous product and I am going to say it again- it smells amazing. I wish I could insert a smell into this blogpost along with a photo just so you could share the joy- seriously this smells so good I do not know how anybody could not love it. Anyways, this product is a multi-purpose argan oil which is suitable for use on hair or body and comes in a nice plastic bottle with a squirt nozzle. The squirter nozzle releases a very fine, gentle oily mist which you can then rub in or apply wheresoever you fancy. I love applying this all over my body after my shower in the evenings just before bed and my skin not only feels amazing but looks incredibly radiant also. I've also found that this prolongs the wear of my false tan also so it gets extra bonus points from me for that. I'm hugely impressed with this gorgeous, indulgent range from The Body Shop and I'm definitely going to pick up some more pieces from the range. Aside from three products I have shown you, they also have a Body Butter (€18.95), a Bubbling Bath (€13.50), a Body Lotion (€13.50), a Shower Gel (€8.95), a Massage Soap (€6.50) and a Miracle Solid Oil for Lips (€6.50). Don't be surprised when I buy them all and haul them on Instagram! Are you intrigued by this range? Does the fact that The Body Shop supports numerous organisations and charities make you warm and fuzzy on the inside too?